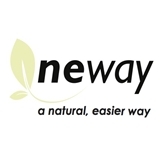 Neway Fertility (New York) - Book Appointment Online! Neway Fertility is one of New York's leading fertility centers specializing in customized and effective fertility treatments. We leverage cutting-edge technology to achieve some of the highest pregnancy rates in the United States. Located conveniently in the Upper West Side of Manhattan, our all-inclusive boutique practice has a state-of-the-art facility and offers a comprehensive array of treatment options. At Neway Fertility, we are committed to providing the most innovative and personal care possible to help our patients achieve their goals. Our mission is to provide top-quality medicine that is centered on compassion and individualized attention. Dr Kort was most wonderful, caring,and well prepared!